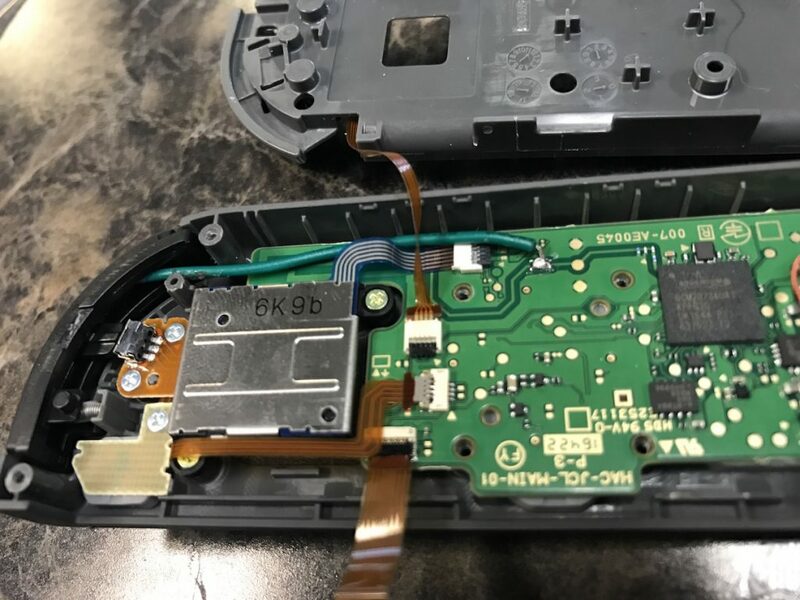 If you’ve just gotten your hands on the hard to find Nintendo Switch, you may have noticed issues with the left joycon going out of sync while playing. 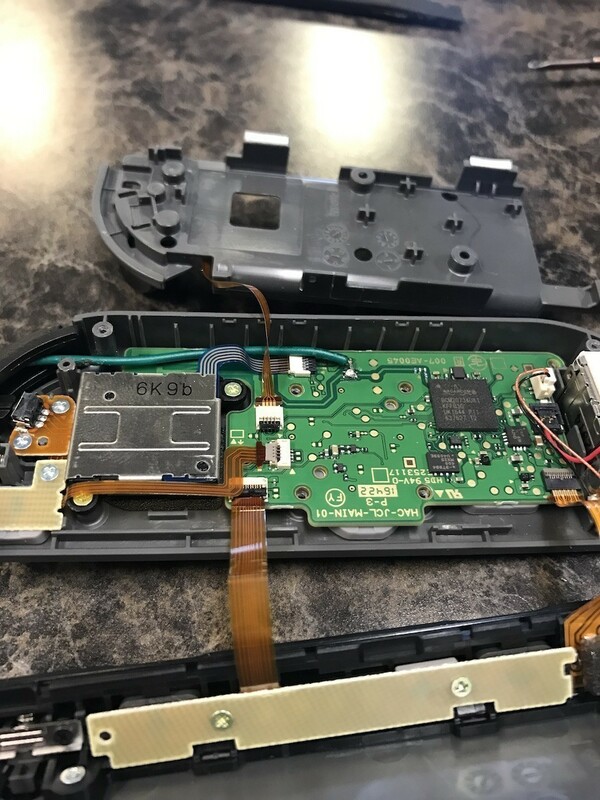 Some issues you may experience while playing games is the left controller becoming non responsive to control input or sporadic disconnects. For example in Zelda Breath of the Wild, you’ll sometimes notice Link running without the ability to control which direction he is running. All of this has to do with the bluetooth connection back to the Switch Console in the Left Joy Con. To do this fix, you have to solder a wire in an antenna that is direct inline with the internal board level antenna. 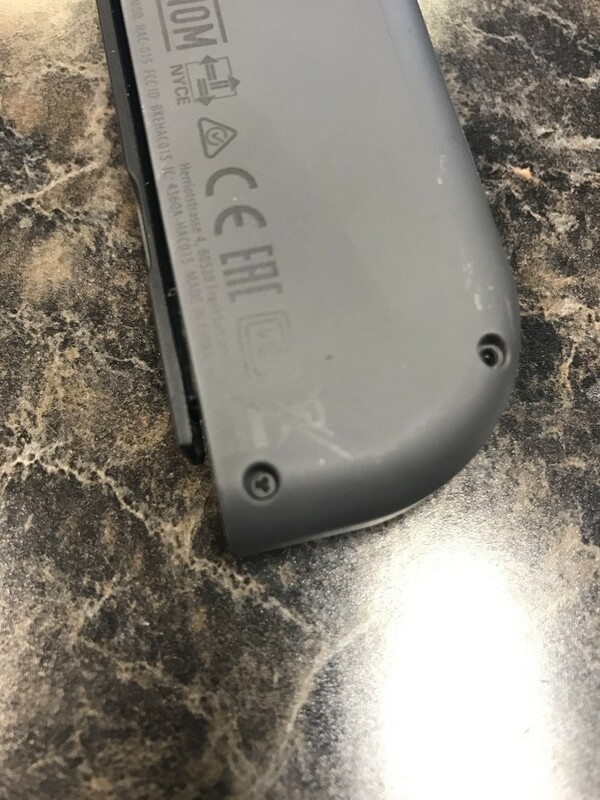 Luckily Nintendo left us a solder point to attach an antenna to. The internal antenna just isn’t strong enough or has something interfering with this connection. Unscrew the outer shell. You’ll need the tri head screw driver here. Open the case by folding it over and revealing the inside. 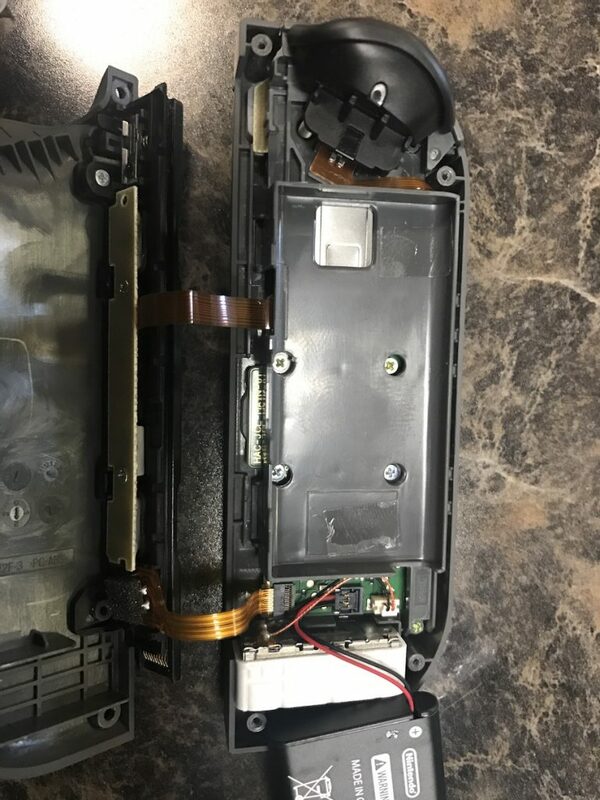 Slowly pry the battery out of the unit and fold it down so its out of the way. 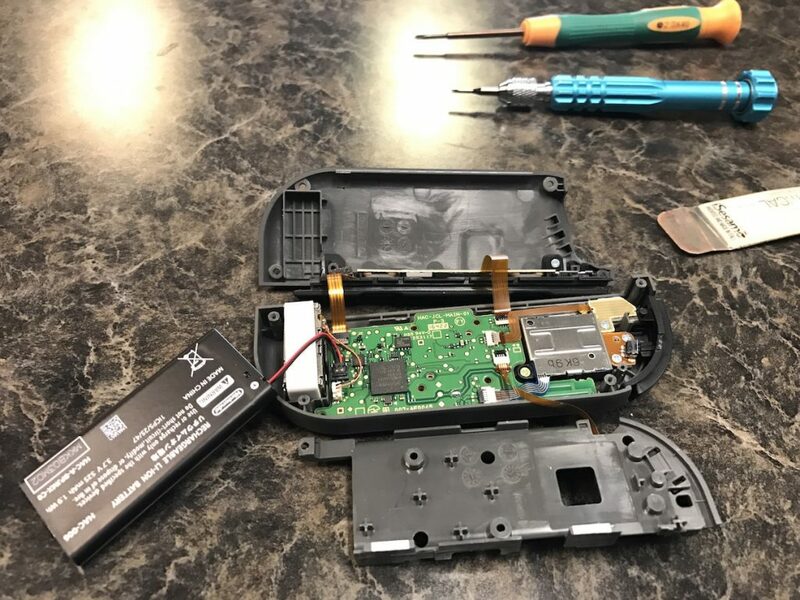 Unscrew the 5 inner plastic frame screws and slowly pull it off so that it reveals the joy con control board. Careful not to tear any ribbon cables. Be sure to note the Left Bumper has a spring so you don’t want it to pop off. 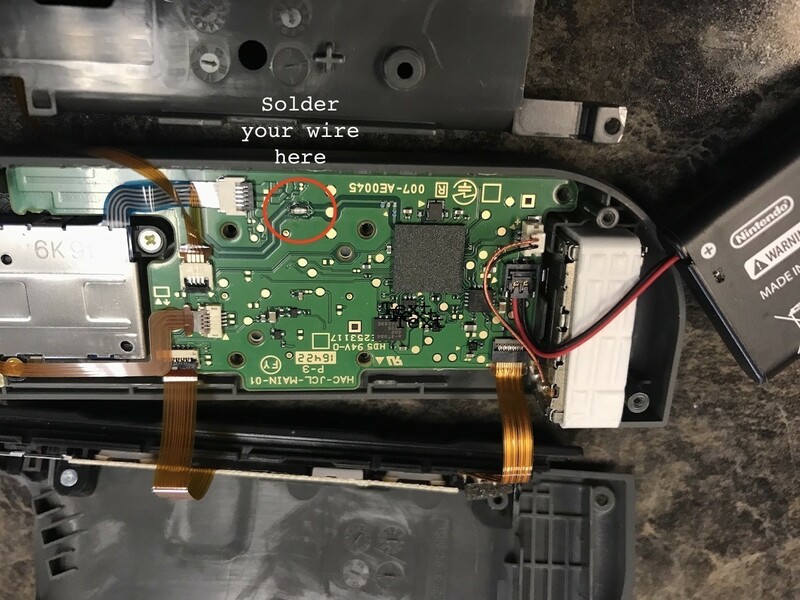 Get your wire ready by stripping the rubber shielding off a little on each end for the connection to the solder point on the control board for the Broadcom Bluetooth antenna. Heat and tin your solder iron tip and carefully attach your wire. You can route the wire down below on the outside of the casing frame or up top under the trigger, I went up top and don’t notice any clearance issues with it. Be sure not to have the wire leads touching any metal. Put it all back together and enjoy your new and improved bluetooth connection.